I was informed earlier this week that Twitter wasn't updating Facebook for some users. I checked mine and I had nearly a month of tweets that didn't go to Facebook. Shows how much I use Facebook...also tells me why my Facbook friends never commented on my tweets. Here's the trick, courtesy of Modhran. 1. Log into Facbook and search for the Twitter app, or go directly to it. 2b. Click on "Want to disconnect your Twitter and Facebook accounts?" 3. Log out of Twitter and Facebook. 4. Lock back into Twitter and Facebook. 5. Go back to the Twitter app in Facebook. 6. Re-connect your Twitter and Facebook accounts. I'm not 100% sure how many of those steps are absolutely necessary, but those are the instructions I followed. There's been a lot of talk about net neutrality since Google and Verizon produced a joint proposal on the subject that basically would allow wireless carriers a big old backdoor out of net neutrality. "So what is net neutrality?" you ask. In basic terms, net neutrality is the idea that the companies that run the Internet, the big backbone data pipes that get websites and other content from East Wherever to your desktop, laptop, or mobile phone have to treat all data the same. That means that Google shouldn't be able to pay Sprint extra to move their data to you faster than Bing or Yahoo. "What's the problem with that? If Google wants to pay extra for premium service, that's the free market, right?" That's exactly the point of debate right now...sort of. The people who are against net neutrality regulations are basically saying that a. it's not a problem b. because it hasn't happened yet. So the questions are a. why would it be a problem? and b. should we stop it before it happens? To simplify the problem, lets look at a more real-world analogy. Lexus makes moderately expensive cars. People buy a Lexus for a lot of reasons, just like people use Google or Bing for a lot of reasons. What if Lexus paid a company that makes stoplights to build in mechanism that would make their lights turn green faster if there was a Lexus waiting in line? Would that be a problem? What if they also added a feature that would make the light turn slower if there was a Honda waiting in line? This is achievable with current technology. It hasn't happened yet, and it probably won't, but it's not outside the realm of possibility. As far as stopping it before it happens, in 2007, it was discovered that Comcast was intentionally throttling BitTorrent traffic (peer to peer file sharing) in order to cut down on the need for more bandwidth to their main data centers. Now, this is an interesting case because it only really affected Comcast's direct customers, but it's one of the big ones out there right now. So how has this "not happened yet?" My fear is that if Comcast can get away with this, we'll see Google and Yahoo and Bing in bidding wars with Comcast and NetZero and other Internet service providers to make their service seem like a better service because it's "just faster." From there, it's not much of a stretch for Bimbo Bakeries to pay GE to build toasters that make a perfect Thomas' English muffin every time, and always burn Bays. You may not have realized it but I wasn't always as cool as I am now. When I was a kid, I had a small group of friends who didn't always fit in with the rest of the school. We were the nerds. We used computers, played video games, and brought calculators to class. We owned digital watches and used email. Today, not only does that describe pretty much every schoolkid, but it describes pretty much everybody, period. You are the consumers of the Internet and of gadgets and video games just like we are. We just happen to be the ones that make them work in the first place. The name is extremely unfortunate and spawned a slew of Max iPad and 'heavy flow...of data' jokes on twitter. Would iSlate or iTile or iThingy have been better? Probably not. Slate is already considered a form-factor, so they'd lose brand recognition with that. The screen feels like the wrong shape to me. I'm a photographer and 35mm (2x3) is what feels right to me. Widescreens are too wide and 4x3 just reminds me of outdated technology. The bezel is super wide. It reminds me of netbooks where they skimped on screen size but couldn't fit the innards into a matching package. This could be for technical reasons though; maybe it was too hard to hold if the screen went all the way to the edge. It's basically a giant iPod Touch. This isn't exactly a bad thing, but I already have an iPod touch. Actually...it's really not a bad thing and it's a big improvement on the iPod. The interface is amazing, and it runs smooth as butter...but I already have an iPod touch. It would be great for taking notes in meetings. My laptop gets way too embedded on my desk with peripherals and extra monitors to unplug and take to meetings for notes; an iPad would be perfect. It would make a great monitor for a tethered photoshoot. I can already shoot tethered with my laptop but the iPad is really sleek, so it would look great sitting on its stand so my client could see exactly what I shot. It would also be doing only and exactly what it needed to do; a laptop is overkill. $500 is not a bad price, but a little higher than I'd want to go for a 16GB device right now. I can fill 16GB with photos very, very quickly. That's more or less what I was thinking during the keynote. And, if you did get a Mac, here's Gizmodo's list of 10 things you must do to get the most out of it. If you were unfortunate enough to get a PC, then here's Gizmodo's list of 10 things that Windows 7 really needs in order to be usable. On Friday, I attended an event on the east bank of the University of Minnesota campus, so it seemed like the perfect opportunity to stop at the bookstore and pick up a copy of Snow Leopard. Over the weekend, I discovered a few things that I thought I'd share. Gizmodo called it 'a move that can only be described as showing off.' Snow Leopard can complete it's installation even if you accidentally (or intentionally) shut down the computer during the upgrade. In another impressive move, the installation runs for about 20 minutes before the first restart. During that time, the dashboard app still works fine, so if you want to see the calendar, check your stocks, or do basic math with the calculator, you still can. It restarts once part way into the installation and then again once the installation is complete. There are a few background tasks, most notably the Spotlight metadata importer, that will slow down the computer for a little while after the upgrade. After that, you're good to go. With every release of OS X since os 10.0, the system has gotten faster. The one exception to this was 10.5. My guess is that they spent a lot of time porting the system over to Intel x64 hardware while keeping support for x86 and PowerPC chips. With OS 10.6, they took the time to optimize all that code and remove support for the older PowerPC CPUs. Unfortunately, that leaves me with four systems that I can't install 10.6 on, but it also means that the newer machines see a performance boost once again. Emptying the trash Securely has been an option in OS X at least since Leopard and, since I work with some sensitive data that I try not to have on my hard drive, I turned that option on. After upgrading to Snow Leopard, I've found that emptying the trash takes significantly longer (despite the improvements I mention above). I wonder if the definition of 'secure' has changed from 10.5 to 10.6. I have heard that it now follows DoD procedures and overwrites the file seven times. I might just rely on disk encryption to speed things up a bit. We'll see. 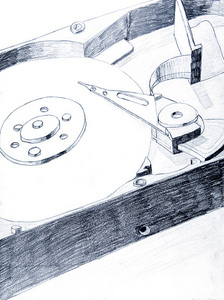 Speaking of disk encryption... I've had some trouble with File Vault in the past. Preferences like firewall settings and my default browser wouldn't get saved correctly due to some permission or file location issue with the encrypted disk image. That all seems to be fixed now because Firefox has reliably been my default browser after every reboot. I spent quite a while discussing this issue on the Apple support forums and it's good to see that they finally fixed it. I use a Mac Mini as my DVR and video player at home. It's connected to my 1080p LCD television via a Mini-DVI to HDMI adapter and for some reason never supported 1080p output, only 1080i. I had suspected that this was a problem with the video adapter not being dual-link. With the upgrade, I can now select 1080p as the display resolution. Not a huge improvement, but really a bonus in the home entertainment category. I paid for all those pixels after all. A welcome addition to the OS is native support of Cisco IPSec VPN connections. That means I can delete my 3rd-party Cisco VPN client. It also means that I get the convenience of a menu bar icon to connect to VPN and the seamlessness of support that keeps my applications from complaining that their IP address has changed. Groupwise used to crash horrifically if I changed IP addresses while it was open and the Oracle Calendar client used to complain loudly. Unfortunately, Parallels 3 is non-functional under Snow Leopard. On the other hand, the only reasons I was using Parallels was for a couple of web applications that didn't work under Firefox or Mac OS and now also don't work under Explorer 8 and isolating my VPN connection... see above on that. Parallels says they're working on enabling support, but they've had quite a while to release an update and Snow Leopard is actively blocking the application from starting up. Parallels 4 works fine, so this sounds more like a matter of forced obsolescence to me. Fortunately, the free Virtual Box from Sun has no problems. I make dozens of ssh connections every day to support Linux, Solaris and AIX servers. (Oh Windows, why hast thou forsaken me?) In order to streamline the process, I use a passphrase-locked ssh key to authenticate with the servers to avoid using my two-factor keyfob. This is still two-factor authentication because the ssh key is something I have and the passphrase is something I know. SSH-agent is a tool that unlocks the key with your passphrase and then keeps it unlocked for the next time you need it. It's automatically enabled in the new version of terminal.app so I only have to enter my passphrase once. And as long as my screen locks properly, it's still secure. I am amazed at the number of developers who are still relying on 32-bit support in the OS. This upgrade has been coming for over a year and has been available to developers for months, so there's been time to release updates for 64-bit compatibility, but there are still a number of Preference Panes that require restarting System Preferences in 32-bit mode to run them. I haven't seen any updates coming through to take advantage of Grand Central for parallel processing either, but I'm confident that both will happen before OS 10.7 comes out and drops 32-bit support completely. I like the fact that Quicktime now has built-in support for screencasting and iSight recording, but I probably won't use either one of those any time soon. The new look is nice, especially the way the title bar of the window fades out for a bezel-less effect while playing a video. Unfortunately, Quicktime now looks like it was designed by a different company, since the rest of the OS still has the brushed-steel theme going on. Update: Under the same category of mismatched interface elements, the context menus for the dock are white on black and the context menus for everything else are black on white. The Dock has some new functionality, like grouping minimized windows under the application icons and integrating with Exposé more closely. The long-click that Apple has always used on the dock will work well if they ever produce a touch-screen tablet running OS X rather than the iPhone OS. I use the Spaces multiple desktop manager to expand my screen real estate and I'd like to be able to use the flip and cube transitions that are built into quartz to switch spaces, which didn't happen in this upgrade, but that's just eye-candy. So... a few things don't work any more. More things work better. I guess that means Snow Leopard is exactly what I'd expect from an OS upgrade. I'm not much for speechifying and all that stuff. Others have wished FreeDOS a happy birthday better than I. The "benevolent dictator" who created the project has a post at the FreeDOS blog. Greg Laden, from whom I stole the term "benevolent dictator" has a little item at his blog. Stephanie has a character piece on James Hall, the "benevolent dictator" at her blog. I don't mean to leave out The Lousy Canuck and others, but these are the ones that really matter. I remember seeing a show on the Discovery channel a while ago about people who had chosen to live their lives a cyborgs. Not with truly bio-embedded technology, but with helmets and cameras and four-fingered chording keyboards. The additional computer connectivity gave them access to metadata through specially coded signs that would display text in their heads-up display and allowed them to be constantly in contact with an Internet full of data. MIT's Media Lab, as they do, has started to bring this to a practical end by making the technology interact with everyday items around you automatically.